Congratulations to Julietta Boscolo who is the winner of the two book prize pack! 🎉 A big thank you to all who submitted wonderful entries both here and on Facebook too. I have a fabulous prize pack up for grabs that has been very generously donated just for us by the lovely Tabitha McIntosh – Naturopath and Clinical Nutritionist at Awaken Your Health… who also happens to be the co-author of One Bite at a Time: Reduce Toxic Exposure and Eat the World You Want, the first book in our prize pack. Thank you Tabitha! One lucky winner will receive this pack, which consists of two extremely informative books that will help demystify the issue of toxic exposure from consumer and industrial chemicals and how to manage the ever-increasing chemical load we are faced with. 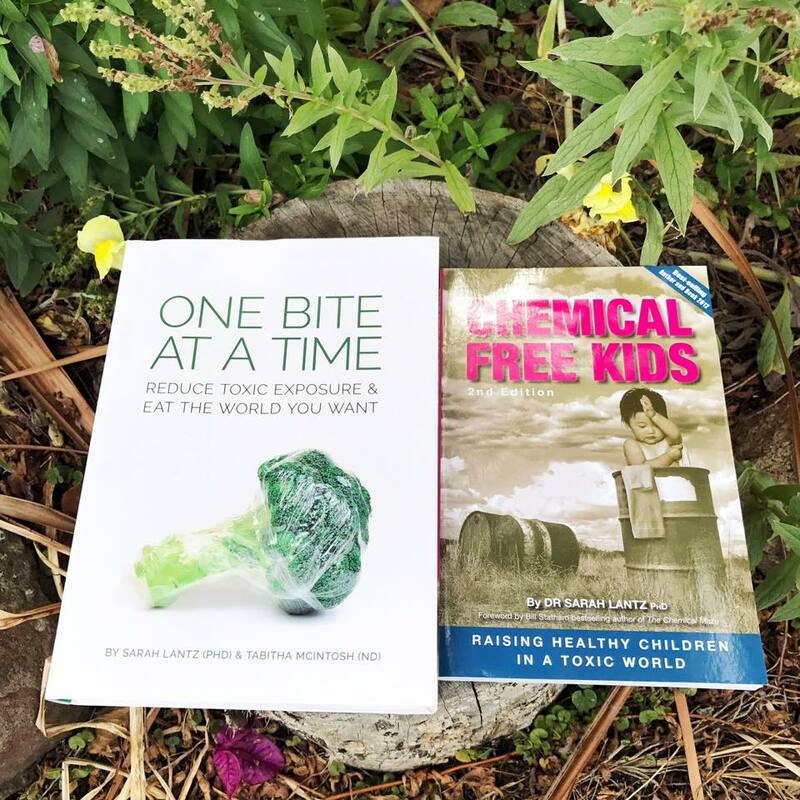 The books aim to educate and empower through discussing what chemicals are, where they’re found and how to go about avoiding / eliminating them to improve your health and that of your family. So if you’d love them in your life, you’ve come to the right place! 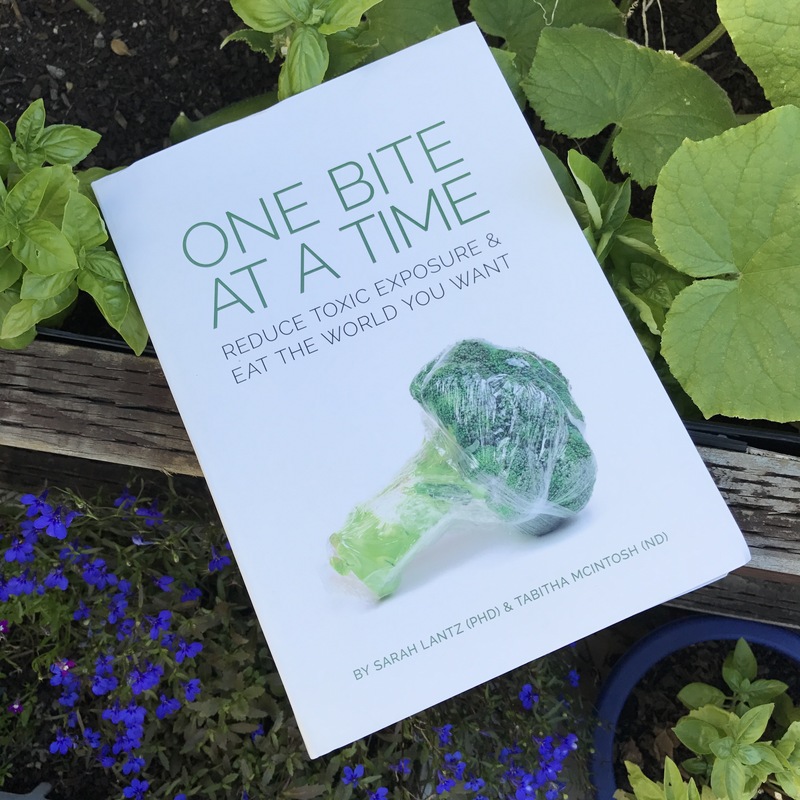 Book number one, as I mentioned, is the newly-released ‘One Bite At A Time – Reduce Toxic Exposure And Eat The World You Want’ written by Tabitha McIntosh and Dr Sarah Lantz. Both women have dedicated much of their careers to research in the fields of nutritional medicine, chemical toxicity and what effects ongoing environmental exposure to these chemicals can have on our bodies, which has culminated in the delivery of this very accessible read and must-have resource. One Bite at a Time outlines the burden of toxicity we are faced with daily and how you can mitigate the ill-effects of such exposure. I WANT THIS…. I hear you say! You definitely do. 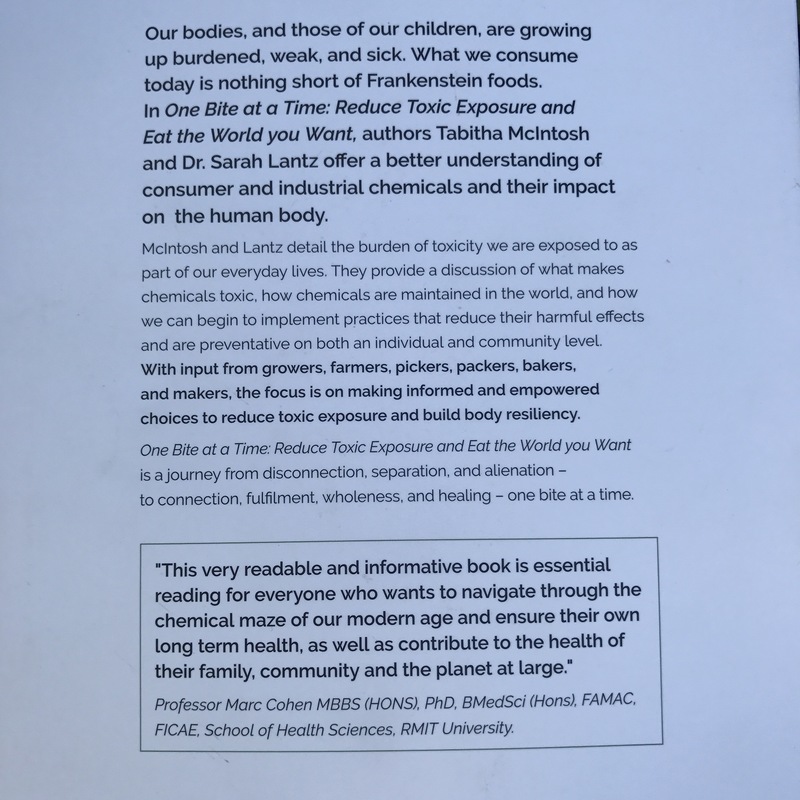 The second book is ‘Chemical Free Kids’, which was also written by Dr Sarah Lantz. This is another excellent resource for your chemical-free toolkit that examines the issues associated with children and chemical exposure . 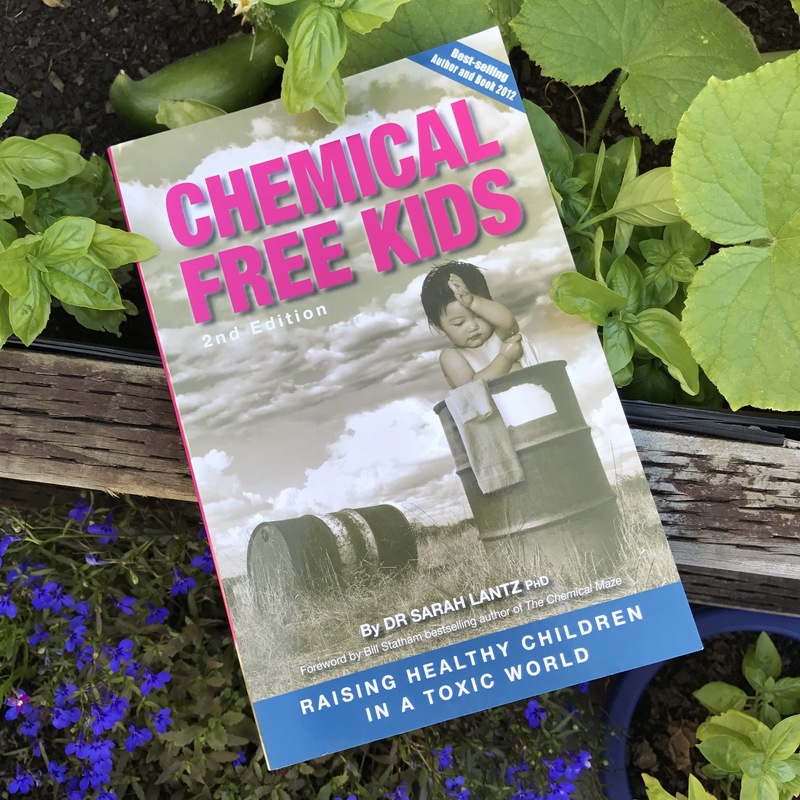 Chemical Free Kids focuses on outlining what toxic chemicals are and where they’re found, how they enter the body, how they come to affect children behaviourally and physically and how these issues can be addressed. 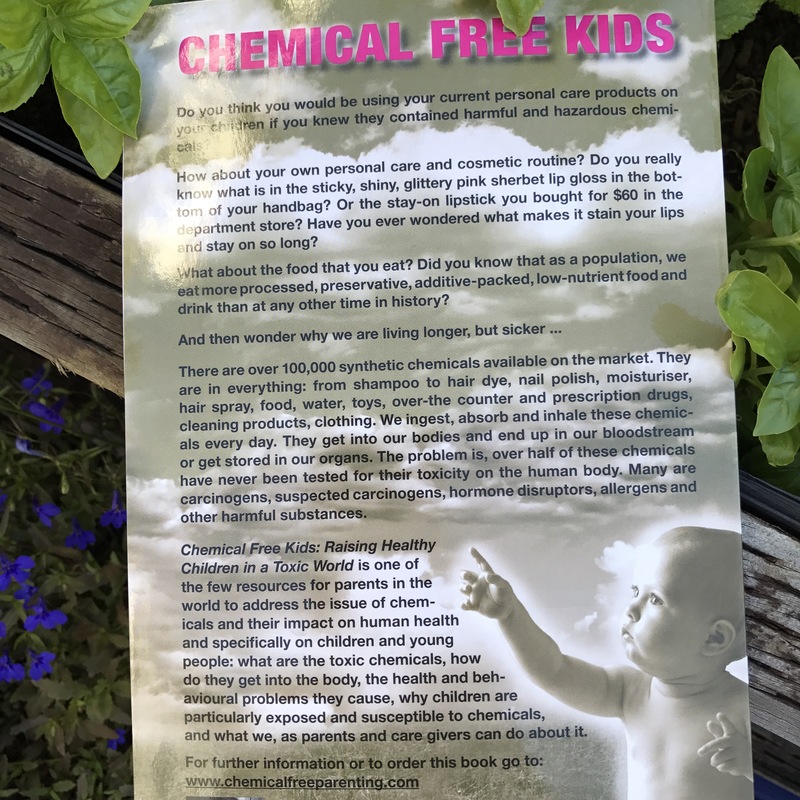 Children are particularly susceptible to chemical exposure so this is definitely one you’ll want to read if you have small people about. It’s not only for parents either, it’s a must read for Aunties, Uncles, Carers, Teachers and Grandparents too! That’s it! You can leave your answer in the comments section of this blog post OR on the competition post on my Facebook page, which will be pinned to the top of the page for the duration of the competition. The competition will be open from 9am (AEDT) Tuesday 21 February 2017 (TOMORROW!) and will close at 12pm (AEDT) on Tuesday 28 February 2017. ONE WEEK ONLY! Tabitha has kindly agreed to judge the winner with me and I will announce who that lucky person is at 10am (AEDT) on Friday 3 March 2017. The announcement will go onto The Tolerant Table Facebook Page and Instagram accounts, and this post will be updated with the winner’s name also. Best of luck to everyone 🍀🍀🍀🍀 In the meantime…. you can have a read of Tabitha’s 8 Ways to Switch to Safe – One Bite at a Time post, which contains hints and tips based on the information found in the book. Please note: The (two) books will be given away as one pack, so there will only be one winner. Sickness & developmental delays/impairments being caused by chemicals in daily use & that the bulk population cannot/refuses to see the link. The majority of these chemicals haven’t been tested for safe longterm use yet they are readily and freely used and ingested although damaging and dangerous.